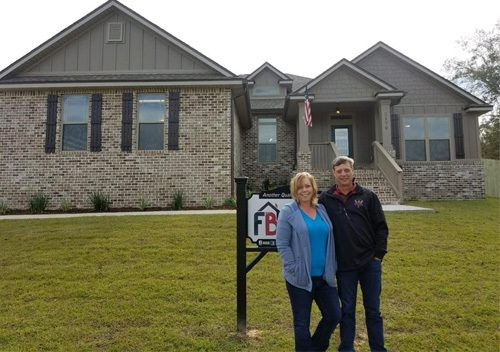 At FlynnBuilt, we treat each project as if it were our own. Our team takes pride in offering high-quality customer service that sets us apart from the competition. The best part? The relationships we cultivate with our customer’s last beyond the building process. We are there with you every step of the way and will always pick up the phone when you call. If you have questions, we answer them. If you have concerns, we listen and provide guidance. This is your largest investment, and we support you every step of the way. 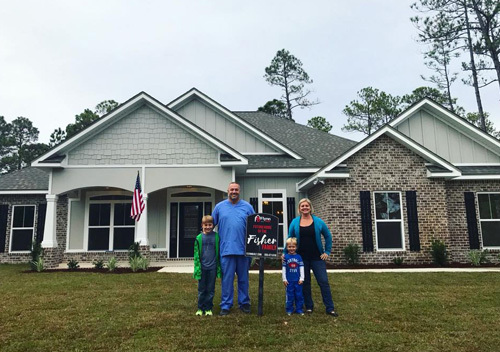 At FlynnBuilt, we build affordable, high-quality homes. 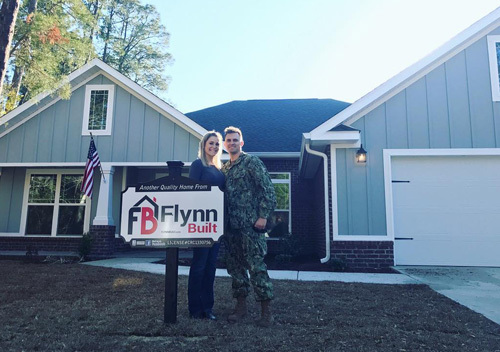 When you choose FlynnBuilt to build your home, you choose more. Top quality customer service, affordable custom home features and a team that works with you from start to finish. Our customer construction testimonials can speak on our behalf. We do more than just talk, we deliver. 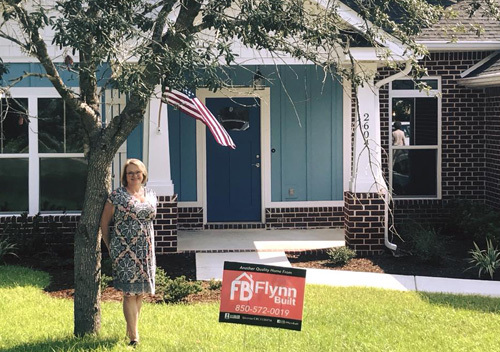 Contact the team at FlynnBuilt to get started on your dream home today! I definitely got my money’s worth. They responded well to me when I contacted them, and I am very satisfied with FlynnBuit. Everything was quality and done really well. I have a really nice tile job and the granite is nice. They were good to work with. I got great response – if I called, I didn’t have to wait long for them to send someone out. I would recommend them after my experience. Had the best experience with Flynn Built. My client is a great guy but not easily pleased and the amazing team at Flynn Built managed to make him happy. 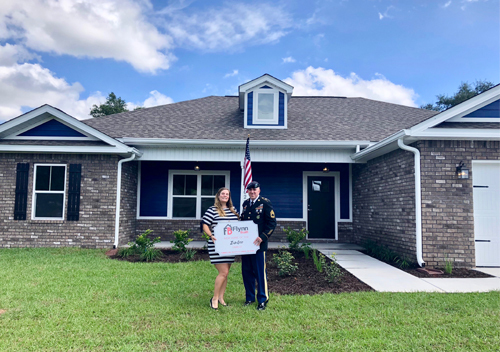 Great communication, top notch construction and a Beautiful Home. I would totally recommend them to other people. I can't say enough good things about FlynnBuilt. They are super nice, and you don't feel like you are just one of a bundle of people. They are really in tune with what you want and with making you feel important. They are wonderful, nice, personable, helpful - all of those things. The house itself is just beautiful. I love it! 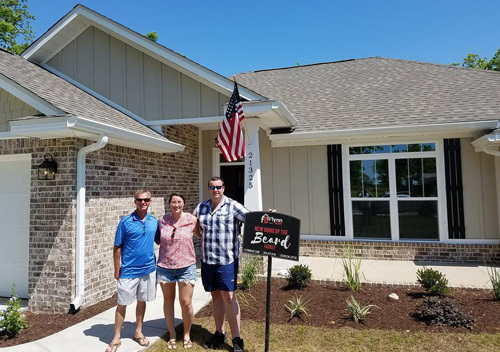 We purchased a Flynn built home in Perdido Key and moved in a few months ago. 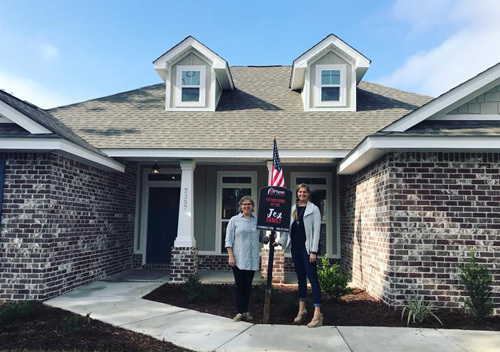 Our experience has been great with Flynn Builders!!! From the start, they were very courteous, informative and responsive to our questions. 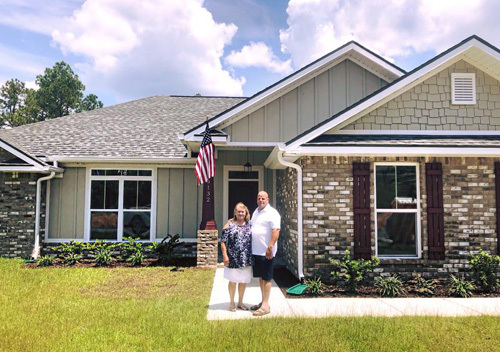 We have had 3 homes built for us in the 40 years since we have been married and this by far has been the best builder we have worked with. The home is solid and quality built. The staff and the construction team were also wonderful. We stopped by many times during the construction phase and to hear all the positive comments from the workers was pretty impressive. We found literally a few very minor items during the walk through such as paint touch ups, etc., and not only was everything taken care of immediately but also handled with a smile! 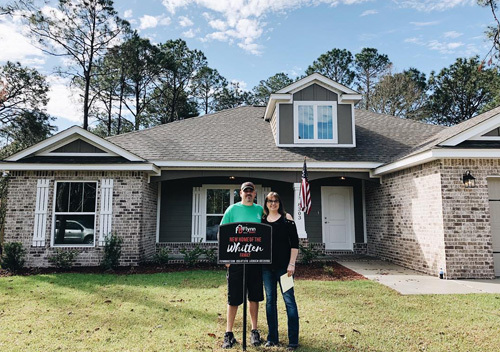 The entire process went extremely well and the house was completed when they said it would be. 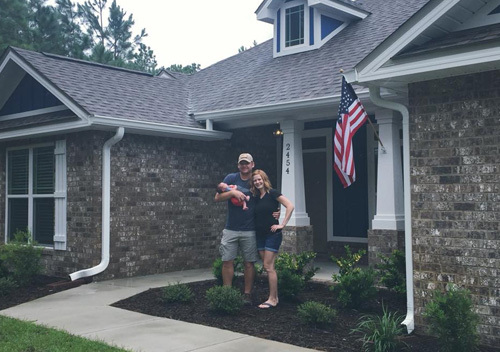 A special thanks to Rhonda, Eric, Ben, Rod & everyone else that pulled this home together for us! We love it! We built our house from out of town which makes it harder, honestly. We did it from the Keys, and they kept us really well informed. They use the Buildertrend app and we use that a lot. 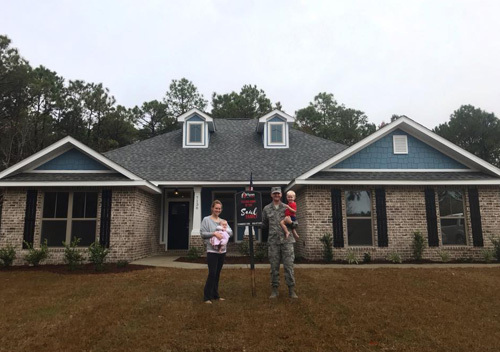 The thing that really impressed us was how quickly they got a high-quality house built – the whole thing only took 3 ½ months. Any problems we had were taken care of immediately and responsively. We had some changes we wanted to make, and they accommodated us with every one of them. They did everything we asked. The app set us up with our supervisor and he would upload pictures and they would add updates. We also got updates from the interior designer. Before we started, we went into the design center and picked everything out with Renee. I would recommend them again – in this price-point, they can’t be beat. I would do it all over again with FlynnBuilt. They were very customer oriented and willing to work with me. We made several changes to the floor plan, and they were so accommodating to us. I thought their prices were very fair. They also paid attention to detail. I have built other houses, and the walls were crooked or the floors were crooked. FlynnBuilt quality is great. I am very pleased and I would absolutely recommend them. 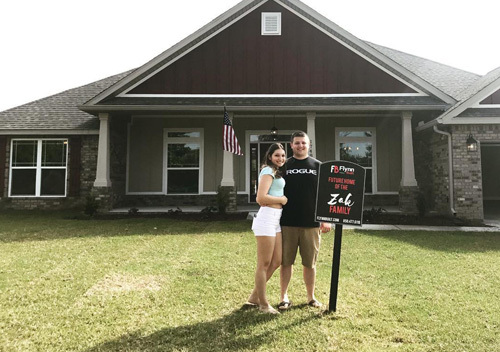 Our home was completed in September of 2016, so we are coming up on two years, and I can still go back and ask them questions and they are Johnny on the spot. They keep improving things that continue to add up. They are starting to add security systems and other little things that make the difference. I would absolutely use them again.